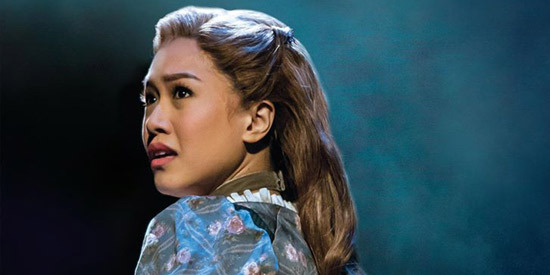 Rachelle Ann Go to play Fantine in Manila staging of Les Miserables in March 2016. Rachelle Ann Go will return to the Philippines for the Asian run of Les Miserables. 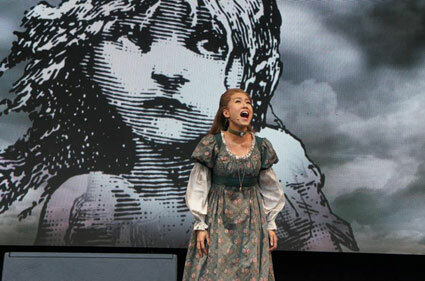 The 29-year-old actress is currently playing Fantine at the 30th anniversary staging of Les Mis in London. For the Manila run, Rachelle Ann Go will also be reprising her role as Fantine in the legendary musical spectacle of Claude-Michel Schonberg and Alain Boublil. It will be staged at the Theatre in Solaire by March 2016. Les Miserables is based on the Victor Hugo novel of the same title. It revolves around stories of struggling individuals during a rebellion against the French monarchy. Set in 19th century France, both the novel and musical revolve around Jean Valjean, an ex-convict looking for redemption. His hapless character was imprisoned for 19 years for stealing a loaf of bread. Other characters who have resonated closely among Filipino audiences are Eponine and Fantine, both played by Lea Salonga on separate productions. Cameron Mackintosh’s acclaimed new production will feature Australia's Simon Gleeson as Jean Valjean and Broadway’s Earl Carpenter as police inspector Javert. So excited! Our very own @gorachelleann will be playing Fantine when Les Miz comes to Manila!!! Woo-hoo!!! The Manila run will begin on March 11, 2016 at the Solaire Theatre. Tickets will be sold starting September 29, 2015.